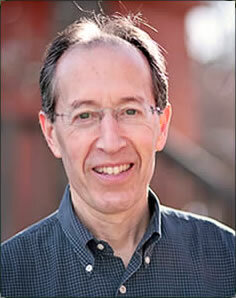 David Chernikoff is a wonderful meditation teacher who is generously offering his wisdom to the AIM community. Mr. Chernikoff will lead a group meditation, present a dharma talk, and answer questions afterward. David Chernikoff, M.Div, LCSW (http://www.davidchernikoff.com) A student of meditation since 1971, David has completed the Community Dharma Leader training at Spirit Rock Meditation Center and has been teaching Insight Meditation since 1988. His teaching has been influenced by senior teachers from the Insight Meditation Society and Spirit Rock, Tibetan teachers he studied with during a 3-year stay in Nepal, and spiritual guides from other contemplative traditions, most notably Ram Dass, Father Thomas Keating, and Rabbi Zalman Schachter-Shalomi. David taught meditation and psychology at Naropa University for many years and currently has a private practice as a spiritual counselor and life coach in Boulder, Colorado. He teaches workshops and retreats throughout the United States.